The term "sustainability" refers to the basic premise that everything we need for our survival and well-being depends, either directly or indirectly, on our natural environment. Sustainability is important to making sure that we have, protect, and continue to have resources available to us for the protection of human health and our environment. According to epa.gov., "Sustainability has emerged as a result of significant concerns about the unintended social, environmental, and economic consequences of rapid population growth, economic growth and consumption of our natural resources. In its early years, EPA acted primarily as the nation’s environmental watchdog, striving to ensure that industries met legal requirements to control pollution. In subsequent years, EPA began to develop theory, tools, and practices that enabled it to move from controlling pollution to preventing it." The organizing principle for sustainability is sustainable development, which includes the four interconnected domains: ecology, economics, politics and culture. Sustainability involves much more than just “going green” and efforts in that direction. It’s about looking at how the economy, society and environment depend on one another to meet our current needs and the needs of generations to come. Long-term prosperity depends on our ability to be good stewards of our natural, human, and economic capital. 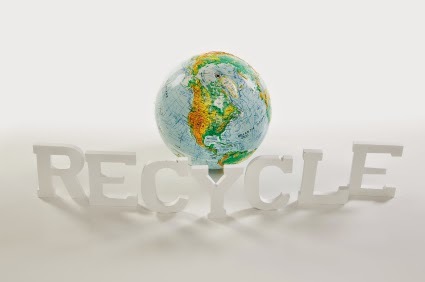 Efforts in the way of sustainability by the Environmental Protection Agency (EPA) include labeling green products, promoting green chemistry and engineering, managing materials rather than creating waste, managing storm water runoff, and supporting the sustainable design of communities. Sustainability is generally understood to mean not consuming resources faster than their production and not polluting the environment in an irreversible way. These resources may be environmental, economic, or societal. Many people believe they are living sustainably because they are doing better than others around them. For example, separating recycling out of trash more than others or riding a bike to work rather than driving. How do we know though if we are doing enough? Even those who work professionally in the area of sustainability rarely have truly sustainable lifestyles themselves, even if they advocate them for others. The maximum population size of the species that the environment can sustain indefinitely, given the food, habitat, water and other necessities available in the environment is considered the "carrying capacity"of a biological species in the environment. The capacity at which the Earth and its resources stop "carrying" ecological life. At the global scale, scientific data now indicates that humans are living beyond the carrying capacity of planet Earth. This cannot continue indefinitely without some species suffering or dying out. In order to know how we are doing in the way of sustainability, we need a means of measuring it. Improvements we make can be beneficial. Clearly we need a way to balance the needs of the world’s population, but maybe the most important requirement is to empower people to make informed decisions. For more information on how your recycling efforts make a difference, visit www.wasteawaygroup.com. Trash...Burn It Or Bury It?